In November of 2017, the Tax Cuts and Job Act of 2018 passed with numerous changes to our tax code. This year we provided a refresher on some of those changes as well as some planning opportunities to think about as 2018 wraps up. If you weren’t able to attend the webinar live, we encourage you to check out the recording below. Based on current tax law, the payer of alimony may deduct the full amount from their taxable income which, in turn requires the recipient to treat it as taxable income. Suppose Harry pays Sally $5,000 per month in alimony. Sally doesn’t get to keep $5,000 because it’s treated as taxable income to her. Based on her tax bracket, her actual monthly net is $3,750. Conversely, since Harry is in a higher tax bracket than Sally, when he writes a check to Sally for $5,000, the deduction translates to an out-of-pocket cost to him of $3,000. What about the difference between the $3,750 that Sally nets and the $3,000 that it costs Harry? Uncle Sam has been footing the bill on the $750 differential in tax revenue. That is exactly what this new regulation is structured to eliminate. The new tax law does away with the tax deduction for alimony. Of course, alimony also won’t be treated as taxable income to the recipient. The new law goes into effect for divorce cases finalized (not filed) with the Court after December 31, 2018. Cases finalized by December 31, 2018 will be grandfathered into the old tax law. In practical terms, taxable alimony shifts income from a high tax bracket to a lower one. Some have argued that it gives divorced couples an unfair financial advantage not available to married couples. However, for the past 75 years, the tax deduction has made alimony a valuable negotiation tool used by attorneys across the country to help settle divorce cases. In fact, it’s often one of the only ways to help provide a fair (or) equal resolution during a difficult financial time for both parties. When is the timer set to go off? Although divorce attorneys and their clients may think they have until year-end before they need to worry about the changes, many states have a mandatory cooling off period once the case has been filed with the Court. Michigan, for example, has a 60 day waiting period; however for couples with minor children, the waiting period is typically extended to 180 days. Therefore, depending on where you live and if you have minor children, you may only have until the end of June 2018 to file and take advantage of tax deductible alimony. As always, every case is different. Consult with a tax preparer, attorney and/or divorce financial professional to help you understand how the tax law changes may affect your divorce. The information contained in this blog does not purport to be a complete description of the securities, markets, or developments referred to in this material. The information has been obtained from sources considered to be reliable, but we do not guarantee that the foregoing material is accurate or complete. Any opinions are those of Jacki Roessler, CDFA®, Divorce Financial Planner and not necessarily those of Raymond James. Expressions of opinion are as of this date and are subject to change without notice. There is no guarantee that these statements, opinions or forecasts provided herein will prove to be correct. This material is being provided for information purposes only. Any information is not a complete summary or statement of all available data necessary for making an investment decision and does not constitute a recommendation. Please note, changes in tax laws may occur at any time and could have a substantial impact upon each person's situation. While we are familiar with the tax provisions of the issues presented herein, as Financial Advisors of RJFS, we are not qualified to render advice on tax or legal matters. You should discuss tax or legal matters with the appropriate professional. The hypothetical example above is for illustration purposes only. Is My Pension Subject to Michigan Income Tax? It’s hard to believe, but it’s been nearly seven years since Governor Snyder signed his budget balancing plan into law in 2011, which became effective January 1, 2012. As a result, Michigan joined the majority of states in the country in taxing pension and retirement account income (401k, 403b, IRA, distributions) at the state income tax rate of 4.25%. Benefits are exempt from Michigan state tax up to $50,509 if filing single, or $101,019 if married filing jointly. Benefits are exempt from Michigan state tax up to $20,000 if filing single, or $40,000 if married filing jointly. Benefits are fully taxable in Michigan. What happens when spouses have birth years in different age categories? Great question! The state has offered favorable treatment in this situation and uses the oldest spouse’s birthdate to determine the applicable age category. For example, if Mark (age 65, born in 1953) and Tina (age 70, born in 1948) have combined pension and IRA income of $60,000, only $20,000 of it will be subject to Michigan state income tax ($60,000 – $40,000). Tina’s birth year of 1948 is used to determine the applicable exemption amount – in this case, $40,000 because they file their taxes jointly. While this taxing benefits law angered many, I do think it’s important to note that it’s a very common practice for states to impose a tax on retirement income. The following states are the only ones that do not tax retirement income (most of which do not carry any state tax at all) – Alaska, Florida, New Hampshire, Nevada, South Dakota, Tennessee, Texas, Washington, Illinois, Mississippi, Pennsylvania, and Wyoming. 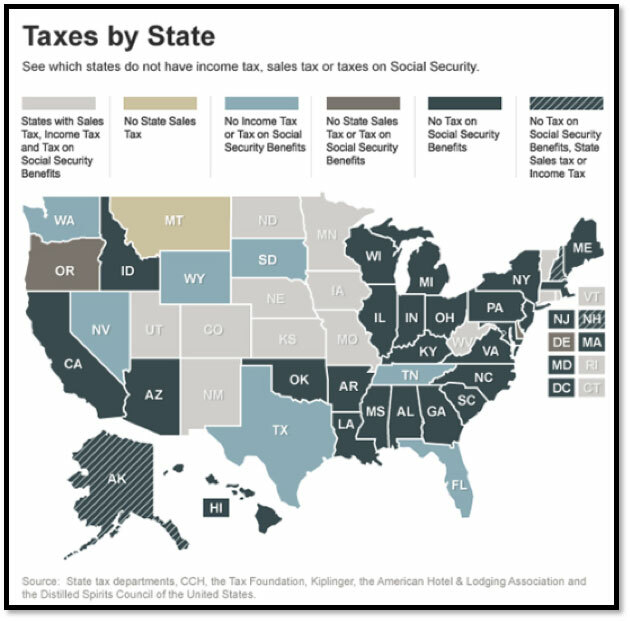 Also, Michigan is 1 of 37 states that still does not tax Social Security benefits. Taxes, both federal and state, play a major role in one’s overall retirement income planning strategy. Often, there are strategies that could potentially reduce your overall tax bill by being intentional on how you draw income once retired. If you’d ever like to dig into your situation to see if there are planning opportunities you should be taking advantage of, please reach out to us for guidance. The information contained in this blog does not purport to be a complete description of the securities, markets, or developments referred to in this material. The information has been obtained from sources considered to be reliable, but we do not guarantee that the foregoing material is accurate or complete. Any opinions are those of Nick Defenthaler and not necessarily those of Raymond James. There is no guarantee that these statements, opinions or forecasts provided herein will prove to be correct. The above is a hypothetical example for illustration purposes only. Are you making charitable contributions in 2018? There are three parties to every charitable gift; the charity, you, and the tax man. Due to the increased standard deduction, many folks will NOT receive an income tax benefit when making direct contributions to charities. For those over the age of 70.5, consideration should be given to making charitable contributions via your IRA. For those under the age of 70.5 you should consider “bunching” your contributions into one year; a donor-advised fund can be quite useful. If we have not had an opportunity to discuss either of these strategies, and you expect to make charitable contributions, please feel free to contact our team to discuss your options in making tax-efficient charitable contributions. Here are two links to articles outlining the QCD strategy. The information contained in this blog does not purport to be a complete description of the securities, markets, or developments referred to in this material. The information has been obtained from sources considered to be reliable, but we do not guarantee that the foregoing material is accurate or complete. Any opinions are those of Timothy Wyman, CFP©, JD and not necessarily those of Raymond James. There is no guarantee that these statements, opinions or forecasts provided herein will prove to be correct. This material is being provided for information purposes only. Any information is not a complete summary or statement of all available data necessary for making an investment decision and does not constitute a recommendation. Every investor's situation is unique and you should consider your investment goals, risk tolerance and time horizon before making any investment. Prior to making an investment decision, please consult with your financial advisor about your individual situation. You should discuss any tax or legal matters with the appropriate professional. WEBINAR IN REVIEW: Retirement Income Planning: How Will You Get Paid in Retirement? One of most common questions I hear from clients as they approach retirement is, “How do I actually get paid when I’m no longer working?” It’s a question that I feel we as planners can sometimes take for granted. Because we are helping hundreds of clients throughout the year with their retirement income strategy, we can sometimes forget that this simple question is often the cause of many sleepless nights for soon-to-be retirees. Saving money throughout your career can be simple, but certainly not easy. Prudent and consistent saving requires a tremendous amount of discipline. However, if you elect the proper asset allocation in your 401k and you’re a quality saver, in most cases, accumulating really doesn’t have to be all that difficult. However, when it comes time to take money out of the various accounts you’ve accumulated over time or have to make monumental financial decisions surrounding items such as Social Security or which pension option to elect, the conversation changes. In many cases, this is a stage in life where we frequently see those who have been “do it yourselfers” reach out to us for professional guidance. The first step in crafting a retirement income strategy is having a firm grip on your own personal spending goal in retirement. From there, we’ll sit down together and evaluate the fixed income sources that you have at your disposal. Most often these sources include your pension, Social Security, annuity income or even part-time employment income. Once we have a better sense of the fixed payments you’ll be receiving throughout the year, we’ll take a look at the various investable assets you’ve accumulated to determine where the “gap” needs to be filled from an income standpoint and determine if that figure is reasonable considering your own projected retirement time horizon. Finally, we need to dive into the tax ramifications of your income sources and portfolio income. 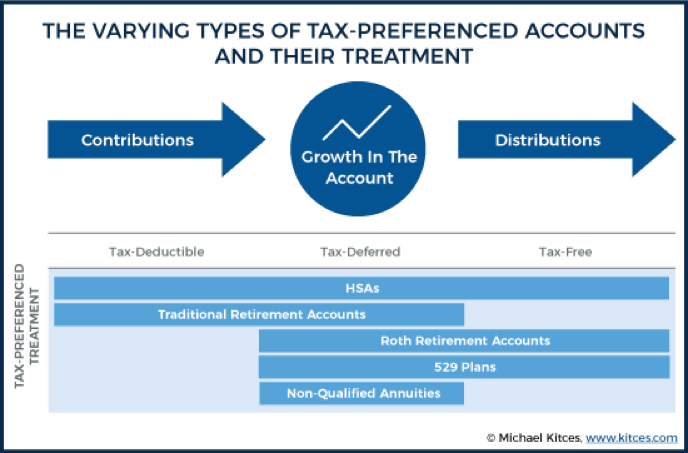 If you have multiple investment or retirement accounts, it’s critical to evaluate the tax ramifications each account possesses. Make sure you listen to the replay of our webinar “Retirement Income Planning: How Much Will You Get Paid In Retirement?” for additional tips and information on how you might consider structuring your own tax-efficient retirement income strategy. The information contained in this blog does not purport to be a complete description of the securities, markets, or developments referred to in this material. The information has been obtained from sources considered to be reliable, but we do not guarantee that the foregoing material is accurate or complete. Any opinions are those of Nick Defenthaler and not necessarily those of Raymond James. There is no guarantee that these statements, opinions or forecasts provided herein will prove to be correct. This material is being provided for information purposes only. Any information is not a complete summary or statement of all available data necessary for making an investment decision and does not constitute a recommendation. Every investor's situation is unique and you should consider your investment goals, risk tolerance and time horizon before making any investment. Prior to making an investment decision, please consult with your financial advisor about your individual situation. You should discuss any tax or legal matters with the appropriate professional. In many cases, the decision you make surrounding your pension could be the largest financial choice you’ll make in your entire life. As such, the potential risk of your pension plan should be on your radar and factored in when ultimately deciding which payment option to elect. This is where the Pension Benefit Guaranty Corporation comes into play. The Pension Benefit Guaranty Corporation or “PBGC” is an independent agency that was established by the Employee Retirement Income Security Act (ERISA) of 1974 to give pension participants in plans covered by the PBGC guaranteed “basic” benefits in the event their employer-sponsored defined benefit plans becomes insolvent. Today, the PBGC protects the retirement incomes of nearly 40 million American workers in nearly 24,000 private-sector pension plans. Municipalities, unions and public sector professions are almost never covered by the PBGC. Private companies, especially larger ones, are usually covered (click here to see if your company plan is). Each year, companies pay insurance premiums to the PBGC to protect retirees. Think of the PBCG essentially as FDIC insurance for pensions. Similar to FDIC coverage ($250,000) that banks offer, there are limits on how much the PBCG will cover if a pension plan fails. It's important to note that in most cases, the age you happen to be when your company’s pension fails is the age the PBGC uses to determine your protected monthly benefit. For example, if you start receiving a pension at age 60 from XYZ company and 5 years later, XYZ goes under when you’re 65, your protected monthly benefit with the PBGC would be $5,2420.45 – assuming you are receiving a straight life payment (see table below). As we would expect, the older you are, the higher the protected monthly benefit will be due to life expectancy assumptions. When advising you on which pension option to choose, one of the first things we'll want to work together to determine is whether or not your pension is covered by the PBGC. If your pension is covered, this is a wonderful protection for your retirement income if the unexpected occurs and the company you worked for ends up failing. If you think it will never happen, let’s not forget 2009 when many unexpected things occurred in the world such as General Motors filing for bankruptcy and Ford nearly doing the same. If your pension is not covered, we'll want to take this risk into consideration when comparing the monthly income stream options to a lump sum rollover option (if offered). 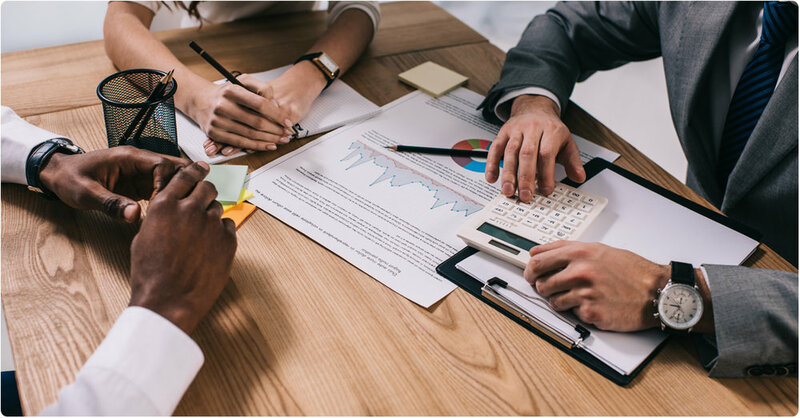 While PBCG coverage is one very important element when evaluating a pension, we’ll also want to analyze other aspects of your pension as well, such as the pension’s internal rate of return or "hurdle rate" and various survivor options offered. As mentioned previously, the decision surrounding your pension could quite possibly be the largest financial decision you ever make. When making a financial decision of such magnitude, we’d strongly recommend consulting with a professional to ensure you’re making the best decision possible for your own unique situation. Let us know if we can help! 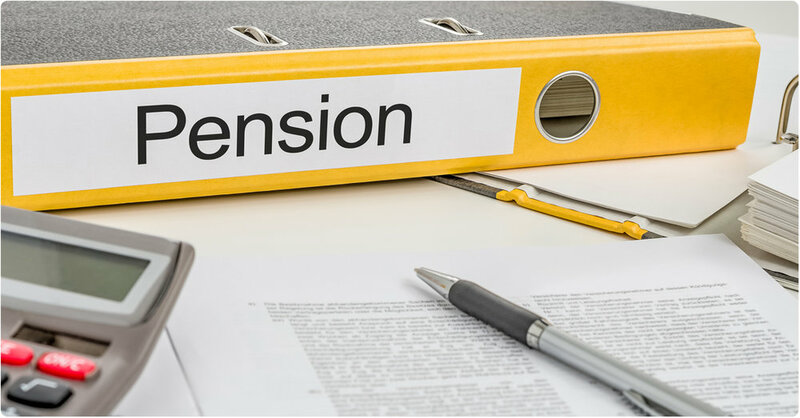 Be sure to check out our pension part 1 blog How to Choose a Survivor Benefit for Your Pension posted April 5th and our next blog Explaining What the “Restore” Option is for Pensions posted May 10. 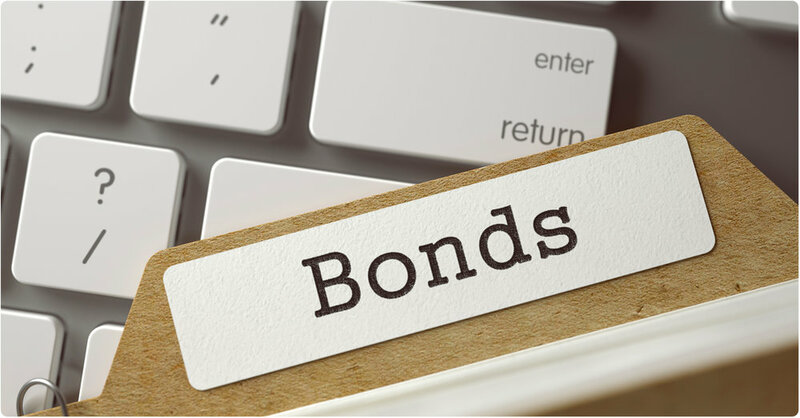 The information contained in this blog does not purport to be a complete description of the securities, markets, or developments referred to in this material. The information has been obtained from sources considered to be reliable, but we do not guarantee that the foregoing material is accurate or complete. Any information is not a complete summary or statement of all available data necessary for making an investment decision and does not constitute a recommendation. Any opinions are those of Nick Defenthaler, CFP© and not necessarily those of Raymond James. This is a hypothetical example for illustration purpose only and does not represent an actual investment. This is a hypothetical example for illustration purpose only and does not represent an actual investment. 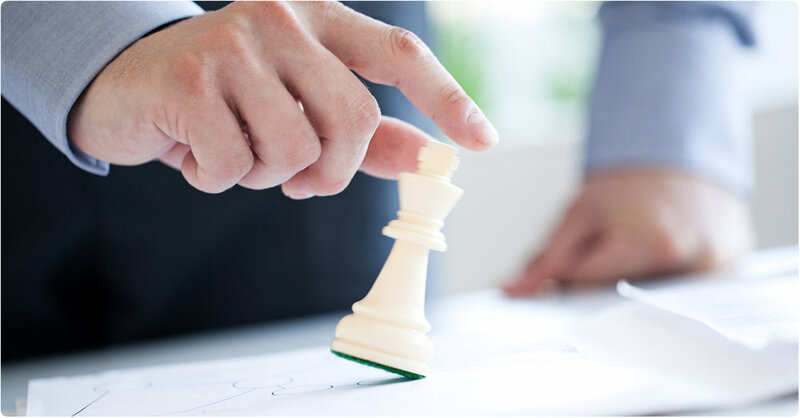 Prior to making an investment decision, please consult with your financial advisor about your individual situation.